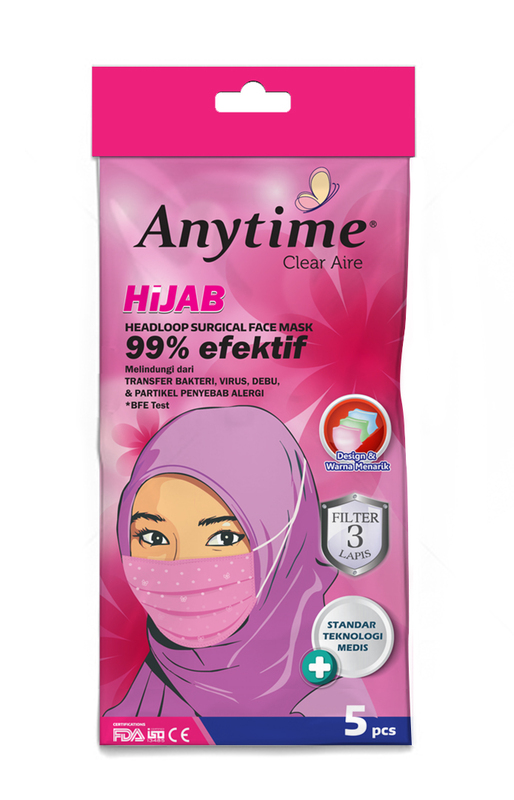 Anytime Clear Aire 3-ply Hijab Headloop Surgical Face Mask with Nano Guard Technology is ideal for daily usage and hospitals for fashionable Hijabers. Its 3 layer construction filters up to 99% of the 0.3 micron particles including dust, bacteria, virus. This breathable and lightweight ear loop masks is hypoallergenic, splash resistant, loops right over your ears and has no string to tie. 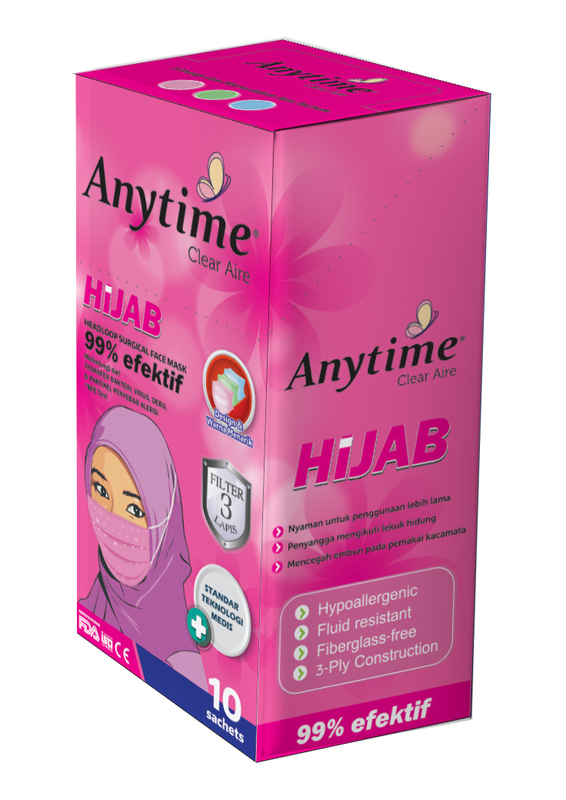 It is available in exclusive design and three available colors assorted into 5 pcs hygienic and re-sealable pack. POP UP display box is available for reseller.